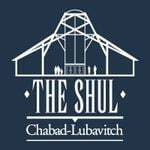 Your donation is tax deductible, reciept will be issued from The Shul. Your kind and generous contribution to Camp Gan Israel, allows us to further our camp programs by helping us offer scholarships to campers who need. Thank you in advance.